For the wealth of joy when we bring our dreams to pass. Let us be thankful today. © Shawn Bird 2011. 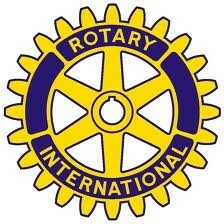 Free use within Rotary. Available for free use within Rotary; however, please indicate in the comment section below that you have used it at your club (date and name). We’re thankful for friends young and old. This time of year, many clubs are bidding farewell to our precious youth exchange students. These young people attend our meeting each week, join in on our projects and activities, and bring infectious enthusiasm with them. They help us celebrate our own culture, as we share our lives with them. Here is an invocation in the spirit of these sad departures. about the things that make your world unique. your perspective on our world. Rotary Youth Exchange students in our lives. We are thankful for old friends that were renewed by you. We are thankful for old dreams that came true for you. See also The Surreal Life and hug your returning exchange students. They’re going to be kind of messed up for a month or two. and where hearts have pleaded. as we help our land get better.